It is December and its festive time. Just a few more weeks and this year comes to an end. However, there is much to plan and do, before we rejoice the arrival of a fresh new year and bid farewell to this passing year. This period of Christmas eve – thanksgiving and New year, remains the most awaited period for all of us. Isn’t it? Throughout the year we plan out our year ending vacation, Christmas parties and get-togethers. Well, no celebration comes without expenses. And there are no two opinions about the fact, that Christmas season is the most expensive period of the year. Professionals adopt strong saving strategies all through the year, and therefore have ample to spend on their holiday plans. However, those who are unemployed, fight a tough time scratching their wallets. Although, most of us think that fresh job openings arrive only with the new year; it is not very true. You can find jobs during festive Christmas seasons as well and thus a solution for your thinning wallet. 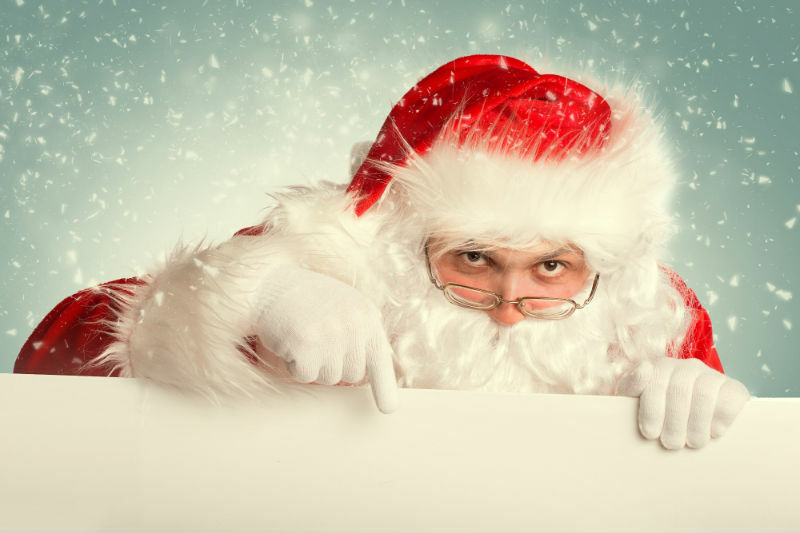 In fact, some career experts say that it is better to take up some temporary Christmas jobs, as they pay more than their regular wage offers. In addition, temporary jobs will bring fresh experiences as you meet new people and explore hidden talents. And ultimately, when the rest of the world returns back to their regular professional lives with emptied pockets; you are there, sitting at home, unpacking your gifts and counting dollars earned! Isn’t that awesome! Of course it is. So, lets gear up to know various temporary Christmas job opportunities available in the market. Listed below are some part-time jobs that may prove to be convenient for you. What is Christmas without party and what is party without music? Well, most DJs who work throughout the year, planning best party music for clients, excuse themselves for a few days to plan their personal Christmas parties. 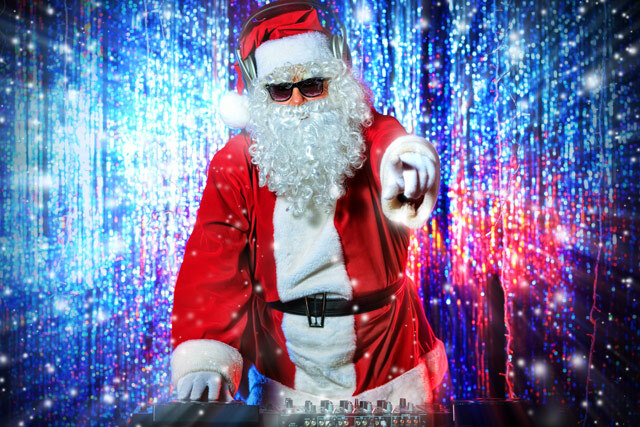 However, as DJ s are an indispensable part of Christmas celebration, Christmas party DJs remain in great demand throughout the season. If you are good at mixing party music and know what to play for your audience, you can really earn loads during this period. 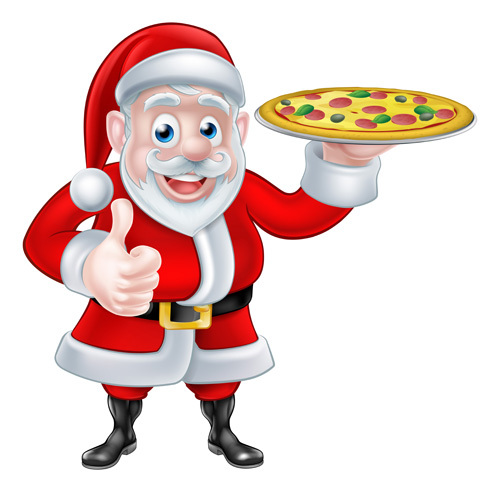 Besides, you do not even miss out the Christmas party yourself! Similar to music, good food also becomes an important part of any celebration. 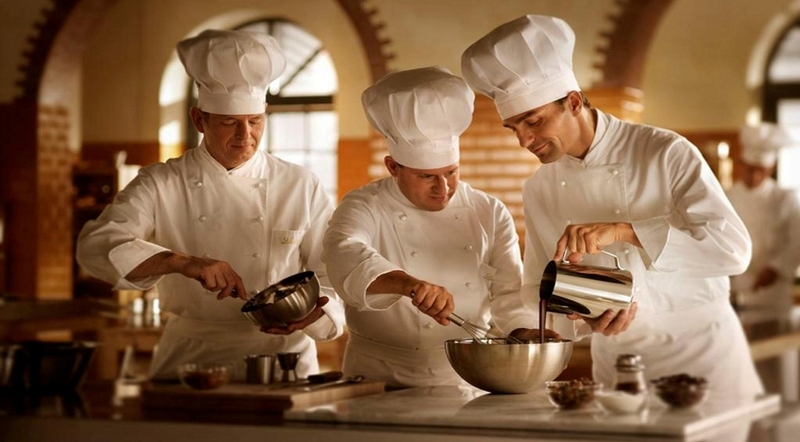 Therefore, chefs have some real good scopes of making huge and quick earnings. Out of the many delicacies commonly served during Christmas, Mincemeat Pie is the most common dish tasted by food lovers during the season. It is believed that, eating this dish continuously for 12 days can bring happiness and peace in your life for the entire year. Therefore, if you are good at preparing this mouth watering sweet dish, you can earn loads working as a Mincemeat pie Chef. And no matter, you manage to eat it for twelve continuous days or not; you still end up happy and content after the season! Okay! If you do not specialize in such dishes; however, you are good at preparing traditional dishes served at family dinners, you can still work as a private chef for families. Besides, hotels and restaurants are always looking for Chefs who are good cooks and can replace their full time chefs during the Christmas period. Those who are good at preparing specific dishes can opt for such opportunities, that can be useful in the long run – if for any chance you are looking for building a career as a Chef. It is only this much that you are required to do as a personal shopper. Isn’t it a job pretty simple, taken into consideration, the salary that it offers? There are people who lead such busy schedules; that they are left with no time to go shopping for parties. Therefore, to aide them with this, shopping centers hire personal shoppers who can promptly decide the type of outfit that can suit their clients. These professionals may go shopping along with their clients or may even shop on their behalf when they are not around. This shopping does not only restrict to dresses and foot wears or makeups. It can be anything ranging from home decors to grocery items required for party. Well, it is not important that you get hired by shopping houses alone. You may even get directly employed by clients, if you really have those skills to style people around. Every nook and corner of your city has big or small parties going on. 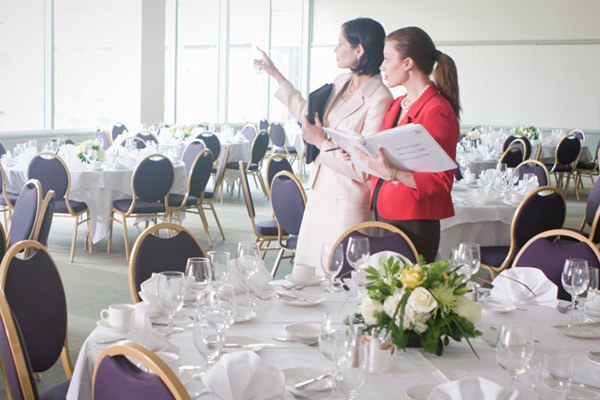 Therefore, event planners have a tough time managing all events simultaneously. 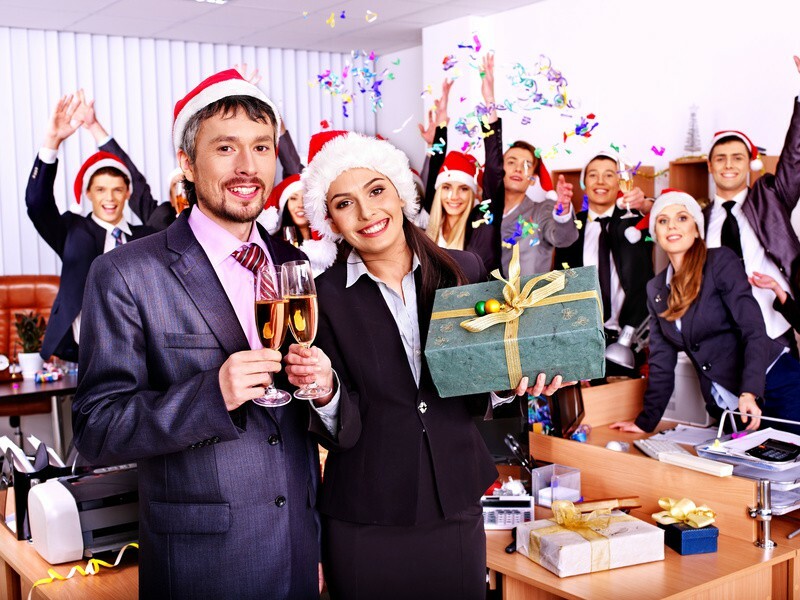 If you are someone who is good at organizing events , you can offer your help as a Christmas staff with any event management team. In the process, you will also learn a great deal along with the salary you earn. Festive seasons are just incomplete without gifts. Sharing presents with friends and family make these occasions more special and memorable. In our moment of happiness, we fail to see and acknowledge those who work to deliver these gift items. You perhaps have noticed several lorries and trucks running across cities. And they mostly out number the usual ones that are available during the non festive period. It is during Christmas season that Lorry drivers remain the busiest and sometimes need assistance to deliver consignments on time. These assistants are known as Driver’s mate. Working as a driver’s mate, you will need huge physical strength and fitness. You may also require efficient driving skills and proficiency in loading and unloading heavy items. Lastly, you will also need to be someone who can work well in a team. These were few jobs that you can opt for, during this Christmas season. In addition, to these interesting professions explained above, there are plenty you can add to this list. Hope that you have enjoyed this article and may find it useful in landing some temporary jobs this closing year. All the very best for your job search and Merry Christmas to all readers. Is “Work from Home” Really Beneficial? Just when your alarm ticks on a cold winter morning, what is the first thought that strikes your mind? Perhaps, you think of the snow fall outside and how you will have to make your way through it, in order to reach your workplace – a few miles away. Moving out of that comfortable setup of your cozy bed just to fight the monstrous cold outside, is definitely a difficult task to perform. And then you spend a couple of minutes dwelling over this thought, you are late to reach your office on time. Thus, adding to your miseries. What if you had a choice, where you can work and get paid without commuting to your office? Well, work from home definitely appears to be the best thing in such a situation; however, not all companies provide this to their employees for 365 days. Now, Is work from home beneficial, is not a question that can have a monosyllable answer. No one can answer this in a single Yes or No. It is a situation that needs to be reviewed with all its pros and cons. The following sections will help you visualize this scenario from all ends. What is good about work from home? Long hours spent on commuting to workplaces is a serious issue faced by many professionals. 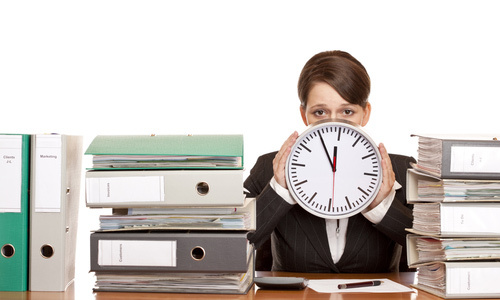 Every organization has fixed working hours, where all employees are required to reach office on time. And when they fail to do so, there are serious consequences awaiting them. You reach late to office, you already have a bad day and somehow it may also effect your day’s work. Your productivity decreases and so does your company profits. Well, all these situations can have a solution. You work from home and the time that was spent on transport can be used to earn some profits for your employers. Isn’t that great? There are people who find themselves focused, only when they are glued to their desk, working on their assigned task. However, there are many who require frequent breaks to remain energetic and creative. While, for the former section, breaks may be a means of distraction; for the later, it is something that drives their enthusiasm at work. If you too belong to the second group, you may feel a little trapped in this fixed eight hours time schedule. You cannot go on taking coffee breaks as and when you like; as all your coworkers are busy chasing their daily targets. Therefore, you get a little drained out of energy and this hampers your work. So, in a situation similar to this, the work from home policy can work wonders for professionals. Here, you don’t need to wait for the scheduled break timings. The only thing you are required to do is to complete all tasks on time. Well, most employers will agree to the fact that they spend a lot of their income on maintenance of office premises. Now, when you have lesser number of employees attending the office regularly; as most of your workers are working in a home office setup, you can definitely reduce your pay bills spent on toilet papers, coffee, stationery such as pens and papers, furniture and electricity bills. Oh! What a relief for all employers. Now, if everything associated with this work from home policy was to be so perfect as it appears to be now, every residence would have a small office setup, replacing huge office premises. However, this is not what we see and it is because this policy has some disadvantages that we need to know. What is not so good about work from home? 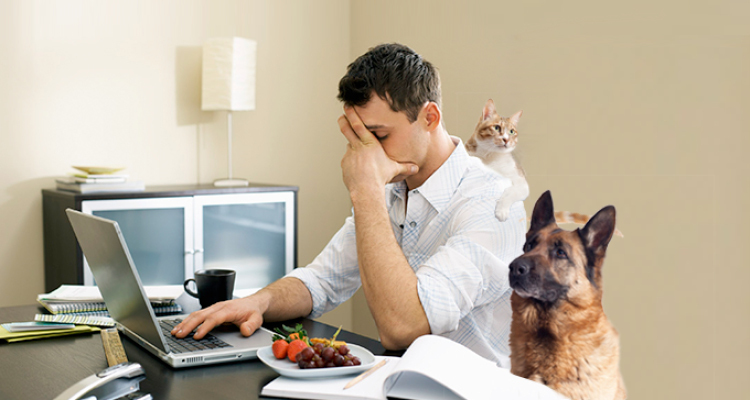 Here are some aspects that stand against work from home policies. Well, with all technological advents such as internet chats, VPN networks, Skype etc; staying connected cannot be an issue. However, in an emergency situation where solutions need to flow smoothly as water, a combined effort of experts is the ultimate requirement. And this cannot be achieved when people are sitting far away at their own residence. Unique and effective solutions can only generate when people share their own ideas seamlessly. Here, we cannot depend on wireless networks, as every second counts. Who knows your internet connection may run a little slow or may just crash down. Thus, conference halls at offices are the best place for sorting out serious organizational issues. What about the social life at workplace? All of us do have a social life at our respective workplaces. We do have those colleagues who have turned pals over these years. We meet them regularly and share common hobbies, attend same amusement clubs or discuss personal issues sometimes. Work from home restricts you from meeting these people. Besides, spending a considerable time at home everyday can turn out to be monotonous. You do not get to see people besides your family or next door neighbors. And believe it or not, this situation is equally stressful as staying glued to your workstation appears. The million dollar question – Who is eligible to work from home? Finally, as they say, making the best use of any opportunity greatly depends on your own skills to make optimum use of any situation. It is important for both employers and workers to realize that working from home requires greater levels of discipline. It is very easy to get distracted when you do not have a watch dog around. Thus, it is best that employees who have shown consistent performance and are known to achieve targets can earn these pleasures of working from home. New joiners needs to be first tested on their dedication and ability to focus before they are given the permission to work from their homes. This was all about working from homes and how beneficial or disadvantageous it can be. Hope this blog was sufficient to answer all queries. 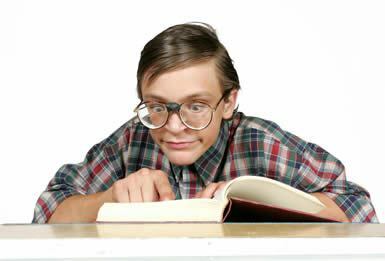 Each time I come across the word “geek,” there is this one person who occupies my mind. I say just one because; not everyone is a born geek. We do not come across number of people each day, who can be clubbed in this category. Do we? Perhaps, you have also come across one or two in your life time. However, this G word has been reduced to a more colloquial language. It is largely used to describe someone who is obsessed with a hobby and stays a little detached from rest of the world. Now, who is a geek? They are people with over intellectual pursuit. And it is this pursuit that has lead to various innovations and developments. Now this reminds me of this one name; Sir Tim Berners Lee – The one who invented world wide web. It was Sir Tim Berners Lee who proposed the idea of hypertext that could help researches share hypertext documents across the internet. And he is someone to whom I am personally obliged to. It is perhaps because of him I am being able to share my thoughts with all my lovely readers! Now, I am sure you also hold someone to be the epitome of “Geekiness.” However, have you ever thought of walking in their footsteps? Can you become the next Tim Berner Lee or Newton or Dennis Ritchie? Well, if you consider yourself as one of those geeks, who have higher levels of intellect and passion that cannot be matched by others; then you can definitely try your luck in some of these rising career options suitable for geeks only. 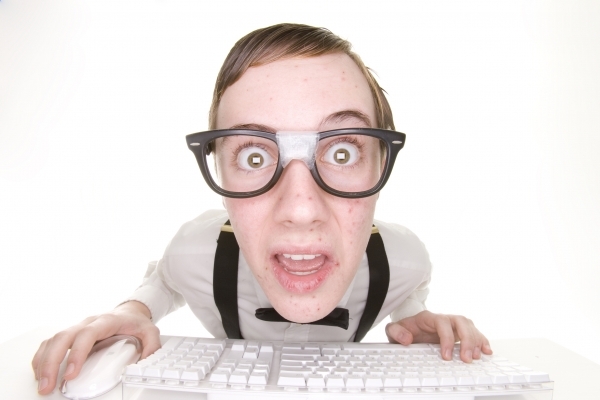 Mentioned below is a list of jobs with their description that are suitable for geeks. Read this to find a suitable career choice for yourself. If communicating with a computer appears to be more fun than talking to your next door neighbor, then software engineering can be your call. While all of us complain of not being able to meet genuine people to talk to; your computer can never fake. You run a perfect code and your computer is happy to show expected results. Some follies in debugging and your system crashes down. Isn’t that fun? While you are developing software to run a scalable business, you can earn loads while doing something you enjoy the most. In addition, with technological advancements taking place at a rapid pace, you can be assured to have a long and promising career for a life time. For many people, a book is where they find solace. They are ardent readers who find extreme contentment and pleasure to explore new ideas, facts and knowledge from books. And the story does not end here; they use their acquired knowledge to make new innovative inventions for rest of the world. They are none other than researchers. Working as a researcher needs huge passion for reading. After all you need to go back to books to earn knowledge sufficient to make new inventions. They work in research labs to convert ideas into realities. Besides, they also need to have strong writing skills to present their findings in the most easiest and acceptable manner for general public. Therefore, if you too are fascinated to build a career in this profile, choose your field of interest and contribute towards the development of your chosen field. Thereby, earning handsome salary packages. Technical writing is a suitable career for linguistic geeks. They are required to describe electronic items that are newly invented. For this, they need to test and review the products. They need to study various salient features of products and present them before customers in the most impressive manner. They also need to compare these new inventions with their older versions. This requires huge study and research. A good blend of technical knowledge and writing skills with passion for the subject is what you need to become a technical writer. Investigation of any crime scene unveils different characters. However, it is the forensic technician who can develop relations between characters to narrate the true story that took place. These professionals spend their working days in a lab; mostly alone, amongst dead bodies, blood samples, crime weapons and finger prints to discover untold and unheard tales. It is their findings that direct investigators towards the right path. 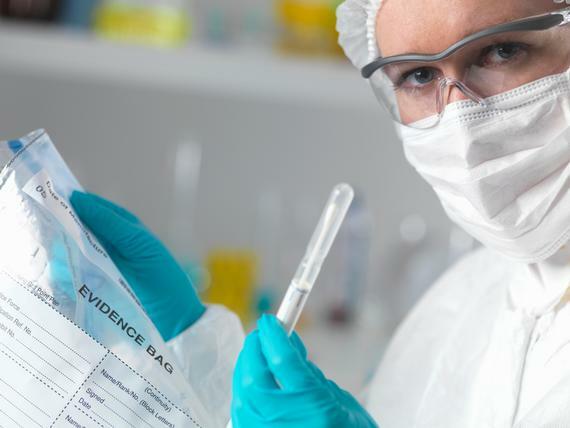 Forensic science is one of the advanced branches of science and technology that offers great career options. If you are someone who enjoys his/her own company doing things you are passionate about, try making a career in this profile. Becoming a forensic technician requires candidates to have good analytical and reasoning skills. Besides, education in natural science is the only key to your forensic school. Thereafter, extensive education and lab experience prepares you for landing this profession. 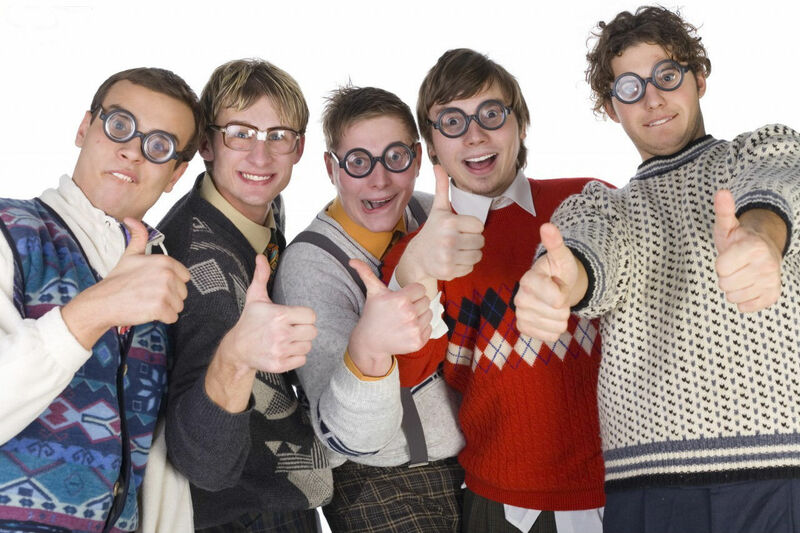 The word geek naturally lands us to this profession. 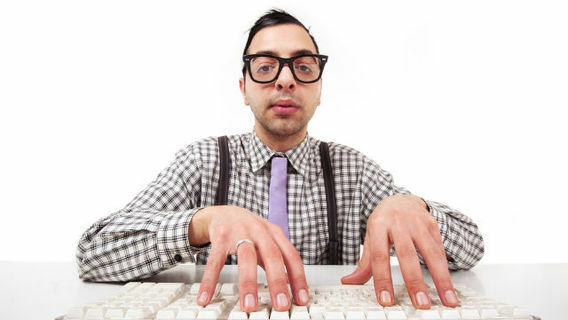 Geeks are thought to possess special rights of working in this profession. And probably this is justified. 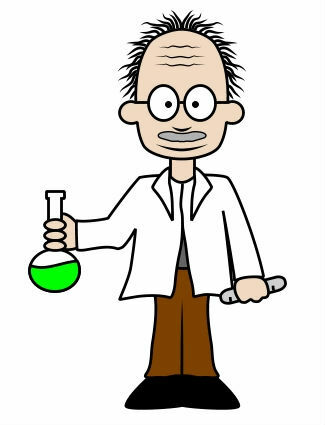 Becoming a scientist needs extreme dedication, focus and intellect and not many are born with perfect combination of all three. Therefore, there are only few who can work in this profile and make significant contribution to the field. Well these were few career options best suited for geeks. However, there can be numerous other careers in this list. In other words, every job and every professional can be referred to as a Geek, only when they really have strong love and interest for the job role they are working in. This was all about careers suitable for geeks. Hope you found this blog relevant to your search. Well, don’t you think working in the food service industry is the most satisfying career one can have? I will tell you why. For all food lovers – who constitute a core part of the entire global population; visiting hotels and experiencing new delicacies is an essential part of our lives. Perhaps, we are struggling hard to earn enough and make this a regular affair. On the other hand, there are people working in this food industry, who are getting paid for preparing, styling and tasting mouth watering and appealing dishes. Isn’t that great? Besides, American economic statistics show that food service industries are going to add a number of new jobs in the coming years. Thus, making a career in this industry sounds interesting and equally rewarding. Therefore, to throw some light on different available careers in the food industry, listed below are some of the job profiles in this industry. Every mall or shopping center you may visit maintains a separate section for food. There we find a variety of edibles of different taste, aroma and color. Now, for those of us who are a little foodie and are considerably less health conscious, do not really look into the “nutritious” value of food items. We rather go for the “taste” factor. However, there is someone who is ensuring the health content in all available edibles. 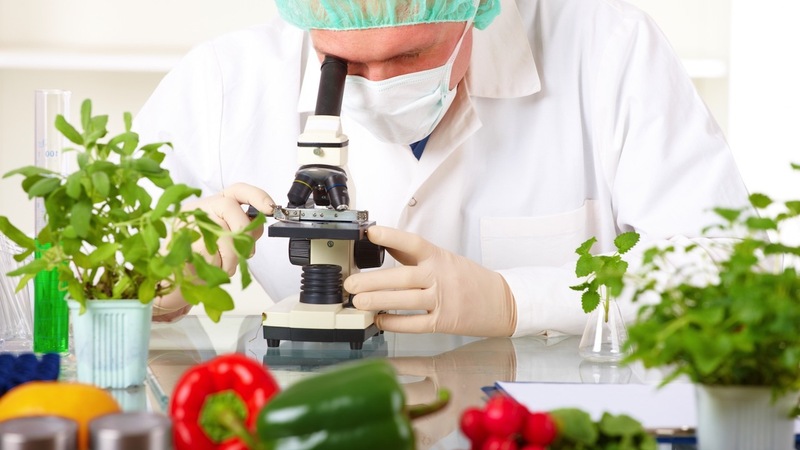 They are known as Food scientists. They are responsible for examining different eatables before they reach the market. 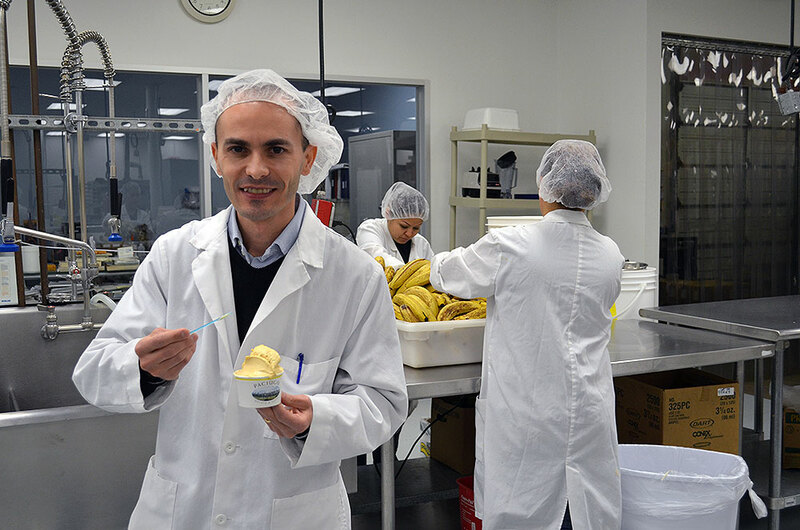 They test items on various factors – allowable food color or essence, minimum level of nutrients every food item needs to contain, suitability for different age groups, etc. Tasting a new dish largely depends on its look or appearance. When a food “looks” to be tasty, we assume it to be delicious and therefore taste it. Isn’t that true? Now, as there are various methods of cooking different dishes using same ingredients; there are also various methods of garnishing or presenting it. And this calls for another lucrative profession. Food stylist are professionals who are skilled to design any particular dish in the most appetizing and attractive manner. These designs are then used by chefs for plate presentation. Further, they are also photographed which appear on menu cards, magazines or portraits that are used as decors in different restaurants and hotels. Now, how do you think all hotel managers are serving gluten-free dishes simultaneously? A few years back, this was not the trend. We did not even know about these health cautious dishes. Growing health issues amongst individuals made them opt for these dishes. And no sooner people opted for these dishes, they were made available in different tastes and appearance across all hotels. Culinary Trendologist are professionals who keep into account these growing changes and inform hotel managers about the same. Chefs then work on developing new dishes to meet customer demands. Dishes that get popular among people are always placed on the top listings of menu cards. These professionals carry out extensive research to find out dishes that are popular, so that they can find their place on menu cards and shelves. 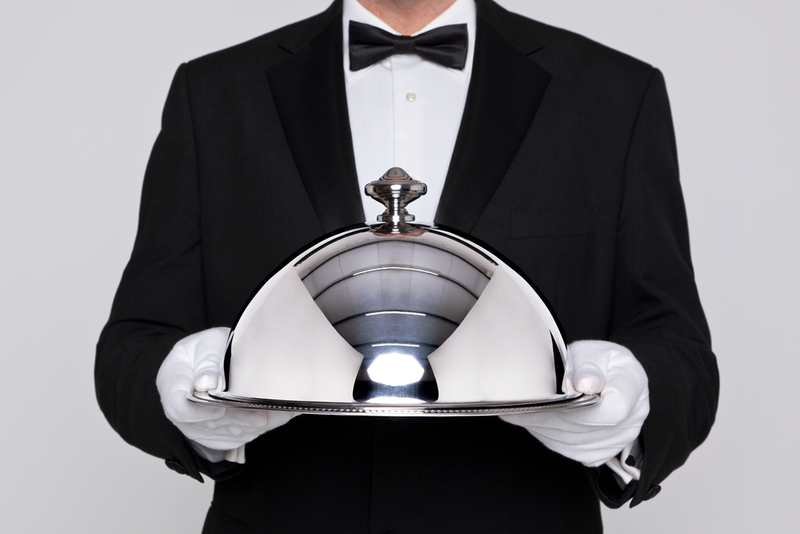 Besides hotels, they also work on meals that are served on airplanes or cruises. Therefore, studying local trends is not their only task; they also explore international food habits and choices people make. Taking a bite of your favorite dark chocolate bar, you almost fall in love with those cacao beans – core ingredient of your chocolate. Now, you know cacao beans are not easily available in every garden you come across. And not all those make chocolates, that make you fall in love with. They need to be hunted, tested and then approved by making some mouth watering, delicious, lovable chocolates. Every innovation may not be strikingly good. Some dishes may work well only for the chef and his family! Others may not just approve of those. 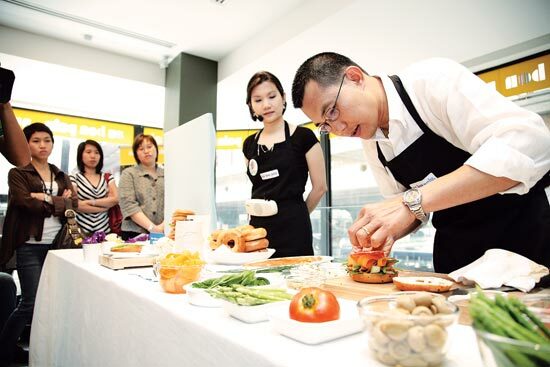 So, before prepared dishes reach customers, they are tasted by flavor testers to ensure that their customers are surely going to like these preparations. They just don’t outrightly reject preparations and rather suggest few changes that can enhance the taste and quality of the dishes. Sometimes, they also work on creating new flavors as well. They also spend considerable time in tasting every new ingredient that strikes the market and then using them in different combinations to prepare dishes. Ice cream makers mostly hire these professionals. And there they are popularly known as Flavor Gurus. 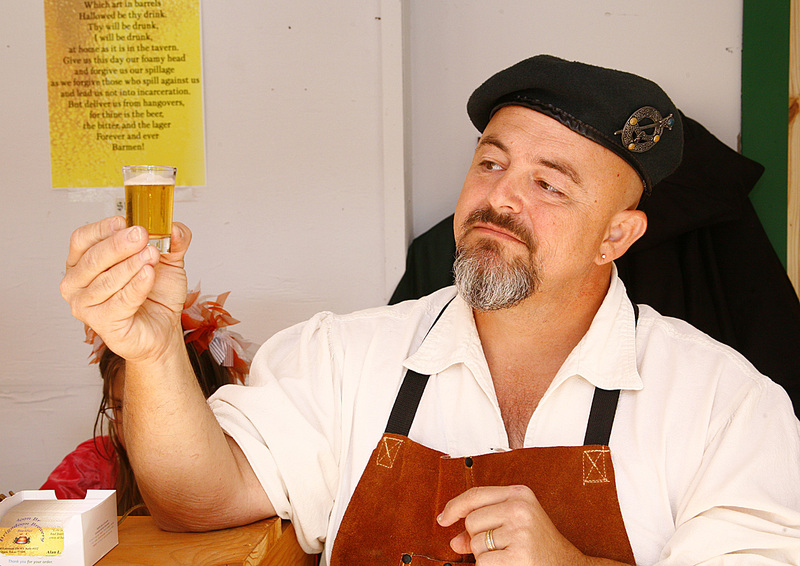 Brew masters work in brewing establishments and carry out different chemical procedures to prepare a unique and perfect mug of beer. Preparing beers involve different fermenting procedures. Selecting core ingredients and then combining these to prepare the drink. More or less, beer ingredients remain the same. However, brew master’s potentiality is determined by his selection of the process that prepares the intermediate product named wort. The taste, texture, fragrance of the drink depends on this product primarily. Witnessing that smile on someone’s face that is brought about by tasting the dish you prepared is so satisfying that it cannot be compared to anything else in the world. This becomes an overwhelming scenario, when you are also getting lucrative salaries in addition to witnessing those happy moments. The listing above does not follow any order of preference. They are just a few of the mentioned jobs available within the industry. And there are an enormous number of job scopes that you can explore. All these job profiles require specific and relevant education in the field. 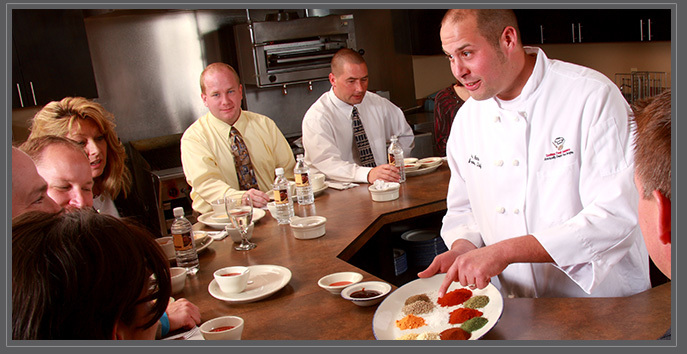 We have different culinary institutes that offer specialization courses from which you can opt for. This was all about careers in the food industry. Hope you found this article resourceful and significant to your search query. If we are to dig out some of the positive impacts of the Great Recession on American economy; one of them definitely needs to be the birth of new jobs or employment scopes. The United States of America has added 1.6 million new jobs in the market. This figure is expected to increase to 11 percent in the next 10 years. Transportation definitely needs to be one, among the top 10 fastest growing jobs in America. The rate at which this industry has recovered from the harsh impacts of recession is commendable. No other industry has risen to the standards set by this industry. Besides, it is also continuously adding new jobs within the industry. Now, if you are looking for different lucrative jobs withing this industry; you have landed the right place. The following section describes the fastest growing transportation jobs in the United States with expected job growth. Note that the statistics available in this article has been taken from different research work carried out by organizations. 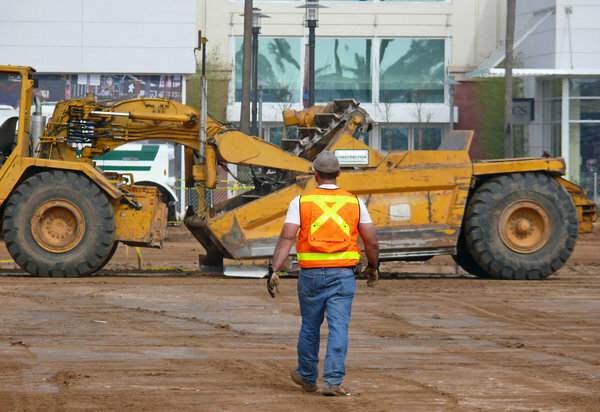 What do heavy equipment operators do? You perhaps have noticed huge vehicles such as bulldozers, trucks, tractors etc. in construction sites. The drivers of these vehicles are known as heavy equipment operators. Handling these vehicles is not similar to driving any normal vehicle and therefore requires additional skills. They can either receive on job training or may attend trade school for a six months diploma course. This occupation is expected to have a projected job growth of 19 percent by 2022. Professionals who acquire training for different vehicles will have greater opportunities. What do Diesel Service technicians do? These professionals are responsible for inspection and repair of diesel vehicles. They may also conduct regular servicing sessions for different vehicles that are being used by construction and transportation organizations they are working with. Diesel service technicians do require some formal training on diesel engine repair to land this job role. However, most professionals do require on job training. Reports show that professionals in this domain will see 9 percent job growth in the coming years. These upcoming job opportunities may also offer better salary packages as compared to present scenario. What do Heavy Vehicle Equipment Service technicians do? 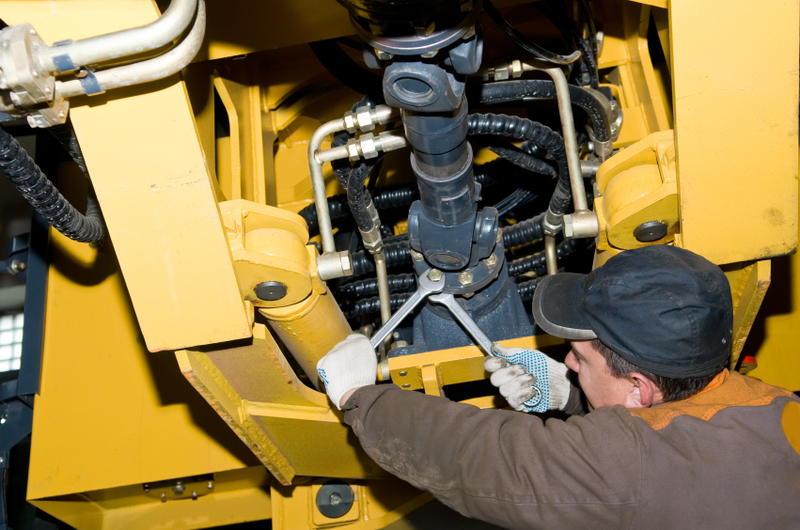 Similar to Diesel machine technicians, these professionals are skilled to identify any faulty part in heavy vehicles and then administer proper repair techniques. They can work on a large variety of Vehicles that are used in Construction, farming and transportation purposes. Heavy Vehicle Equipment Service technicians are expected to witness 10 percent job growth by 2022. Today various scientific techniques are available for repair as well as for enhancing machine performance. If you can acquire these additional expertise, you are eligible for much greater job opportunities. What do Delivery Vehicle drivers do? Delivery vehicle drivers carry shipments and small packages from one place to other. Besides, efficient driving skills they also need to have other relevant skills. These professionals need to be trained in handling goods appropriately without causing any damage during transportation. In addition, they also need to build good professionals relations with customers. They need to be very accurate while they take down feedback reports and other necessary information from clients after proper disposal of goods and commodities. 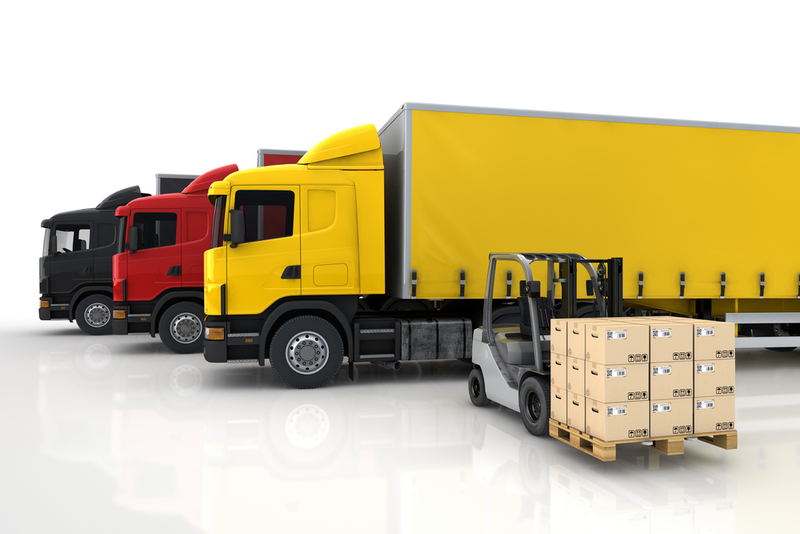 Commodity transportation from distribution centers to other business outlets and household, has become an integral part of manufacturing and production industries. Thus, as these industries flourish, these professionals will receive wider job scopes. In addition, those with good navigation skills have further increased job opportunities. What do First line Supervisors do? First line supervisors are professionals who oversee the daily work of all vehicle drivers. They schedule and distribute tasks among their subordinates, train new entries and take care of all injury cases. Years of experience in the same industry can land you this job profile. Knowing the ins and out of the business process is mandatory for this job. Besides good interpersonal skills and effective communication also forms the prerequisite for this job role. Although there is no numeric data to support the expected job growth in this domain, it can be anticipated that with the growth of this industry as a whole, these professionals will also experience healthy job growth. First line supervisors work in every industry that employs group of workers to carry out tasks. However, job growth for these professionals is not very bright in other industries as it is in transportation industry. What do cargo agents do? 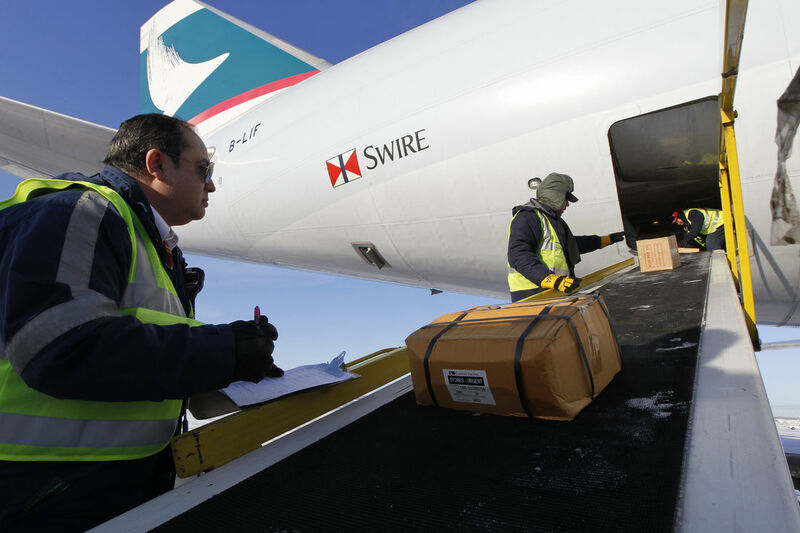 Cargo agents facilitate and coordinate shipment of goods through airline, truck and train facilities. 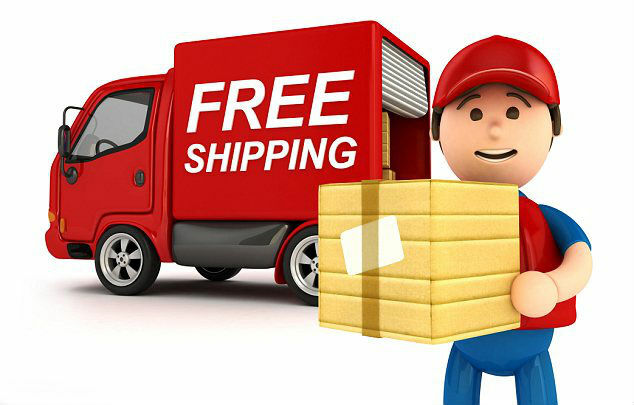 They work in stockrooms, warehouses, shipping and receiving stations. They research on shortest routes and advise drivers on the same. 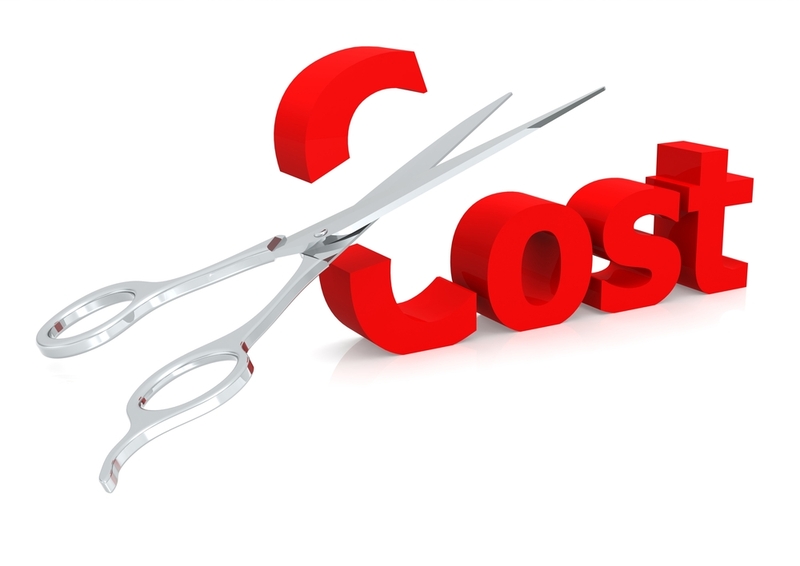 They also coordinate payment procedures with clients and ensure delivery on time. They carry out constant communication with customers where they track shipment on delivery routes and report them with the same information. Besides, they are also required to accurately record shipment details before it gets loaded for delivery. According to reports, the demand for these professionals is expected to increase significantly. There is going to be a job growth increase by 29 percent within this domain. 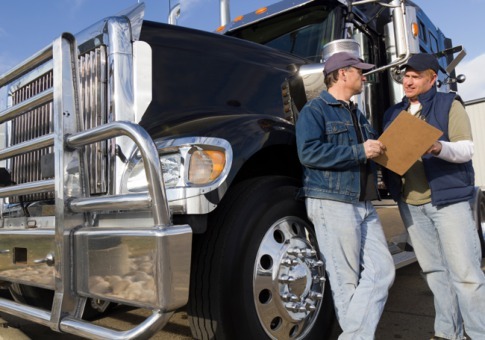 What do Transportation inspectors do? 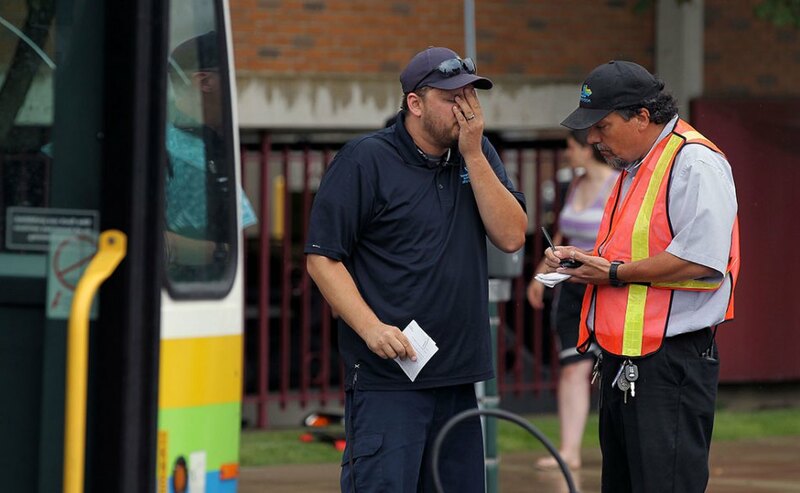 Transportation inspectors ensure that all transportation vehicles such as airplanes, buses, trains are working properly and are abiding by the federal safety regulatory standards. They can undergo specialization as per choice. As for example, aviation transportation inspectors are responsible for airplane transportation only. Similarly, railroads inspectors look after transportation processes carried out via trains. And so on and so forth. These professionals will witness a projected job growth of 11.2 percent within the next 10 years. Formal education is mandatory to land this job role. People with advanced training and higher education will have further job opportunities. These were few of the booming career opportunities available in this industry. With this we can conclude today’s discussion. All of us do experience love and heart breaks at some point of time. Isn’t it? 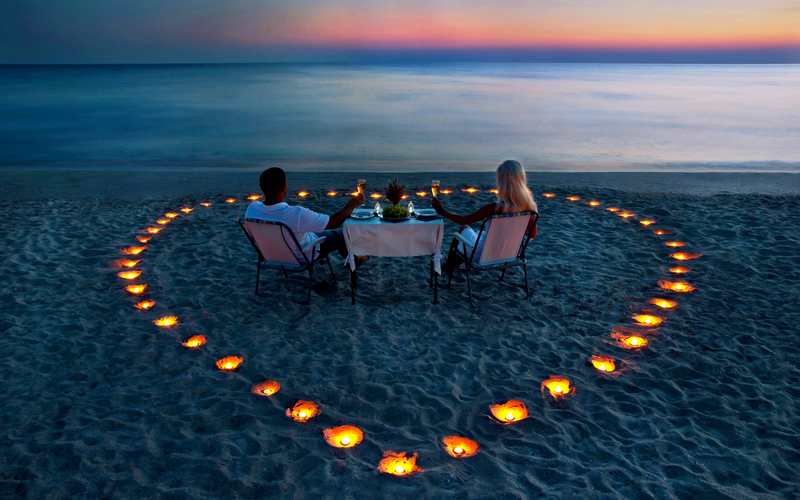 However, not all can be termed as romantic. As most of us celebrate the glory of love at some particular span of the year, there are people who can go on doing it every single moment of their lives. They are known as the true romantic. If you are someone with prominent romantic quotient within, and cannot continue with a career option that you have not fallen in love with – simply quit that job!! As anyway, you are not going to enjoy your job profile, and therefore, will not serve with hundred percent efficiency. Instead, look for something that you will love to work on and enjoy every moment of it. Below you will find a list of career scopes specially designed for people romantic at heart. 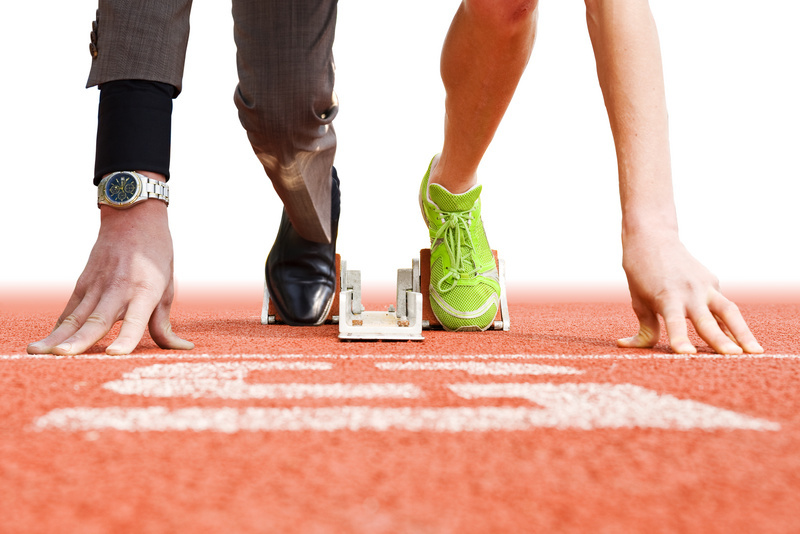 Explore the exciting employment opportunities that also offer lucrative salaries. Beget love for the love you spread and enjoy every moment of your professional life. Imagine yourself in the soothing breeze of Grand Canals in Venice. You are sitting on a gondola in a full moon night. And the soft illumination lights up the mystic beauty of the canals. Every sight is more captivating than the other. What an Enchanting experience, isn’t it? While you may consider this as a rare experience; possible only in romantic novels and movies, there are people who are blessed to be in this ambiance for the major part of the year. 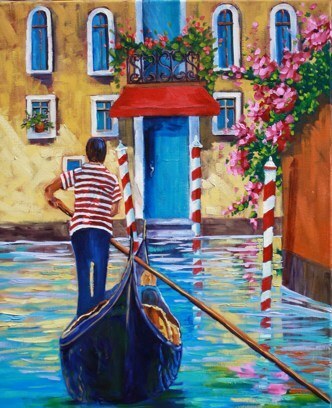 They are the Gondoliers, who row these beautifully designed water boats and become the only witness of fulfilling love stories. So, for all romantic people in the world who desire to earn their living in occupations that can employ the romantic quotient within, this is one of the best options available. Many say that wine gets better with time, and love gets deeper with age. Therefore, when couples are on the verge of initiating their story, they mark the beginning with a sip of wine. 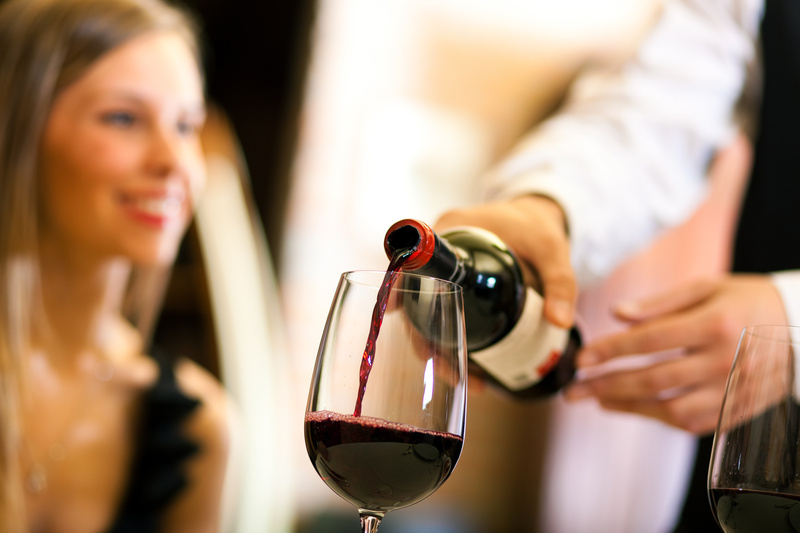 Sommeliers or wine waiters are professionals who serve these love couples, the perfect glass of wine and thus create an exquisite aura they cherish for their lifetime. These professionals are well equipped to suggest types of drinks and also prepare varieties of the same. Sommeliers may work in beautiful dining setups or restaurants and earn handsome salaries spreading love and peace all around. Our eyes can capture the beauty of every moment. However, with time it gets faded away. Blessed are those who can preserve these precious moments for a lifetime. Have you ever come across portraits or photographs, crafted so beautifully, that they almost depict the real story? Not all can create such magnificent masterpieces. However, all of us do want to have our moments similarly captured for an entire life span. If you are someone who can create magic with a paint brush in hand and can run your imagination; become a professional portrait photographer. Help others to have permanent copies of every passing phase, that they wish to cherish and thereby earn lucrative salaries. 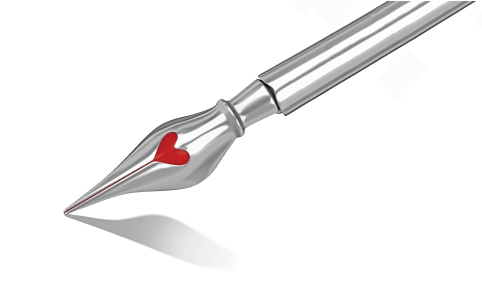 Writing is the most passionate form of expressing your love. Well, everyone can go through the same emotion and be at the peak of love and romance; not all can jot down their feelings on pen and paper. It requires both expertise and knowledge of the subject. Great poets and authors are known to revive emotions within the most phlegmatic souls. Do you have that knack for writing? If yes, then go ahead in creating love stories and verses that can interest others as well. Some may visualize the fulfillment of their stories in your writing. While some may get inspired to fight all odds and realize their own. Nothing can be more amazing, than to receive a box of chocolate as a gift on your birthday or Valentine’s day. Isn’t it? 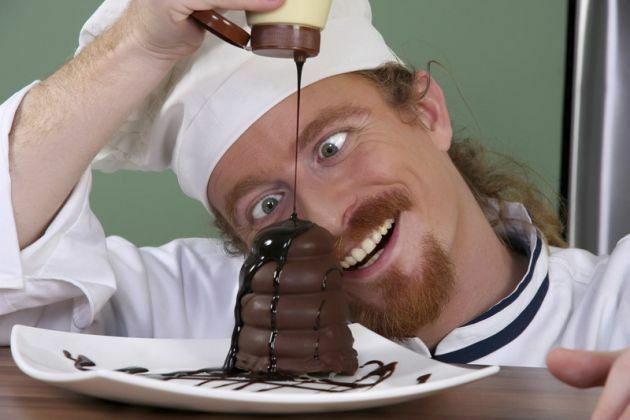 The confiseur, the French word for chocolatier, are individuals who are into one of the most satisfying occupations available on Earth. They work in confectioneries, where they design and prepare chocolates of different shapes and sizes. These are later taken away by individuals to gift their loved ones and witness a smile on their faces. This profession is an unusual blend of hard work and reward. While it is extremely satisfying to witness two individuals who tie the knot of togetherness. Planning the event is extremely tenacious. 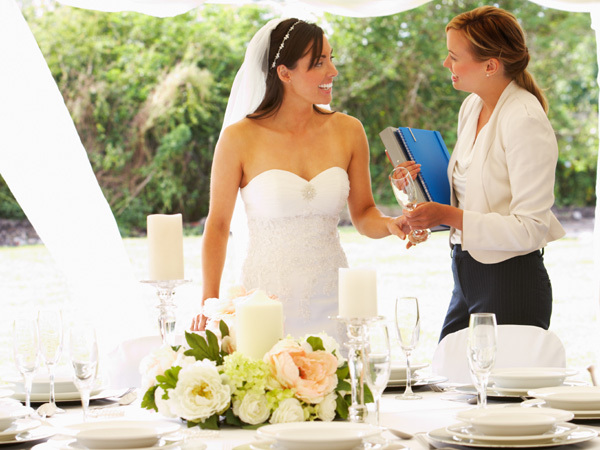 Wedding planners are professionals who are responsible and manage the ins and outs of the event. From wedding attire to food and other ceremonies, they manage all. Landing this profession requires some formal education. Once you acquire the requisite experience, be sure of making loads in this profession. The refreshing smell of fresh flowers and their natural beauty and color narrates various feelings untold. Flowers are something that suits every occasion. When you plan to express your love you have for the love of your life, red roses can tell your story so aptly. When you raise your hands of friendship towards strangers, you have yellow roses to express your thoughts. 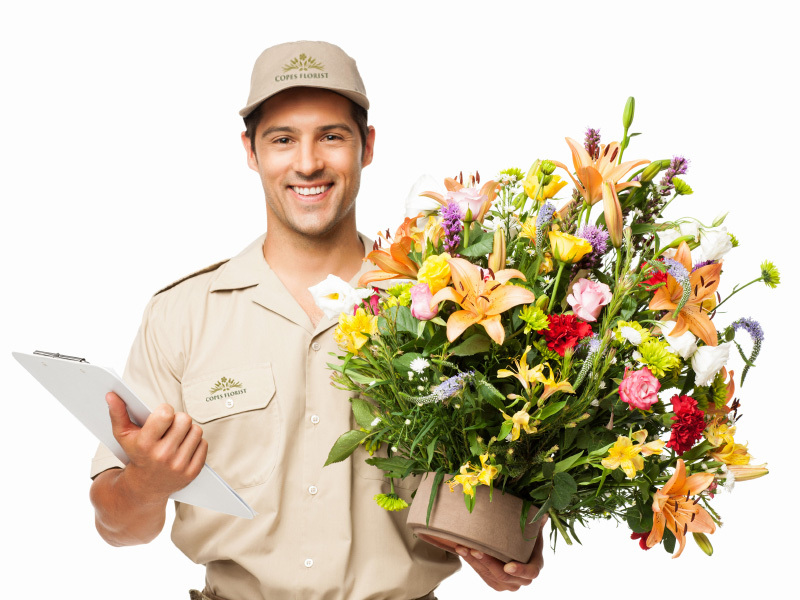 So, if you do want to spend your day amidst soothing ambiance created from natural flowers, go ahead and become the owner of a flower shop or boutique. You may have an average earnings for some part of the year. However, this gets compensated during seasonal periods, such as Christmas Eve and New Year or Valentine’s day. As there is more and more hatred everywhere; do not let go off an opportunity that allows you to spread love, peace and compassion. Be the lover who is loved by all. Build a career that you enjoy. If you consider yourself to be a true romantic, explore the above-mentioned career scopes. These were few of the job titles listed. And there can be many such job opportunities that may suit your romanticism. With this we can wrap up with today’s discussion and hope you have found this article useful and relevant to your search. What strikes to you when you come across some broken pieces of glass?? A shattered mirror perhaps. Well, there are people who can view this as something that can create a wall decor. And this is what is known as creativity. Creativity is an attitude, not everyone can carry. Some say that all of us are born with streaks of creativity. However, do we come across creative minds that often?…Certainly not. Business critics consider a lack of creativity to be the greatest setback to accelerating growth. So, if we are all born with at least the slightest sense of creativity, where does it actually disappear? 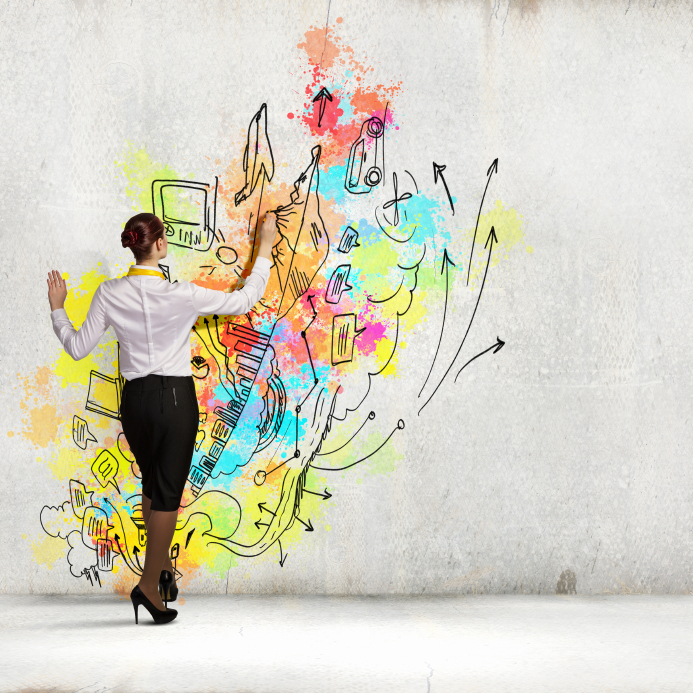 The power to imagine and visualize things differently, is what is known as creativity. And as we grow up, conventionality replaces imagination. It is perhaps the prime reason behind the declining rate of creativity in present scenario. To view those pieces of glass as a wall Decor is still easy. The catch is to turn imaginations into reality. So if you can really make that wall Decor and win praises for your inventions; you can definitely pat your back for your impressive sense of creativity. Now, for those who can run their imagination and have a passion for innovation will definitely not enjoy the tasks that have strict protocols to follow. Conversely, someone enjoying regular tasks may not fancy creativity. What kind of person, do you think you are? Conventional or Unconventional. This is something you need to realize initially. Once you can identify this, you can consider half the work done. Most of us find our job profiles uninteresting and thus, are unable to put in our best efforts. Well, there can be various factors leading to this depressing condition; one important aspect is to land wrong job profiles. Now, why do we pursue jobs that do not relate to our passion or skills? Why does a painter wear the shoes of an accountant? A person having a knack for gadgets landing jobs of healthcare professions and the list will go on. Whatsoever may be the reasons behind, the question still exists – why do we knowingly get into these careers, when we know we could be doing something better – something of our own choice. Identifying inner skills and then related career, is definitely not easy. Some fail to identify hidden talents within; while some lack courage to follow the same. Now, there is a popular belief among young grads that career scopes for creative minds are sparse. And those available, pay less or have no growth options. A False notion indeed. Today, every industry, profit or non-profit organizations have plenty of job scope for the right talent. You have relevant skills, and you know how to use it; there is nothing that can stop you from excelling beyond expectation. 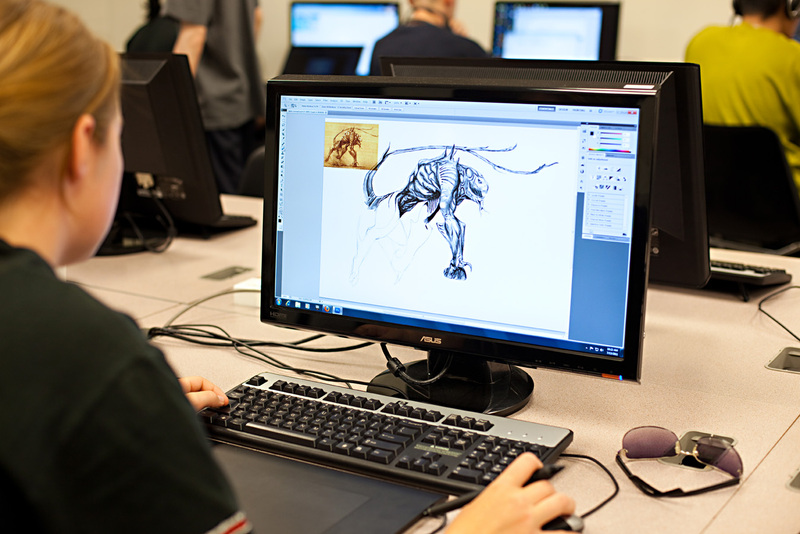 Earning a fine arts major in your graduation, opens huge career options for you. Fine arts has grown beyond musical theaters and painting exhibitions. Today, this degree opens doors to publishing houses and magazine, television and film production, digital marketing industries, etc. You can choose any of the offered specialization depending upon your field of interest. Some of the areas of specializations include – creating visual effects, animation, industrial designs, photography and many more. 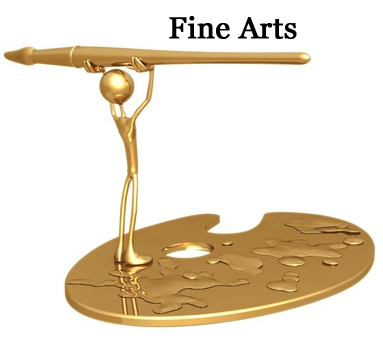 Fine arts professionals approximately earn $ 51,120 initially. With experience, your take home will rapidly increase. Job opportunities for these professionals are likely to increase in the coming years. Writing is the most powerful forms of expression. 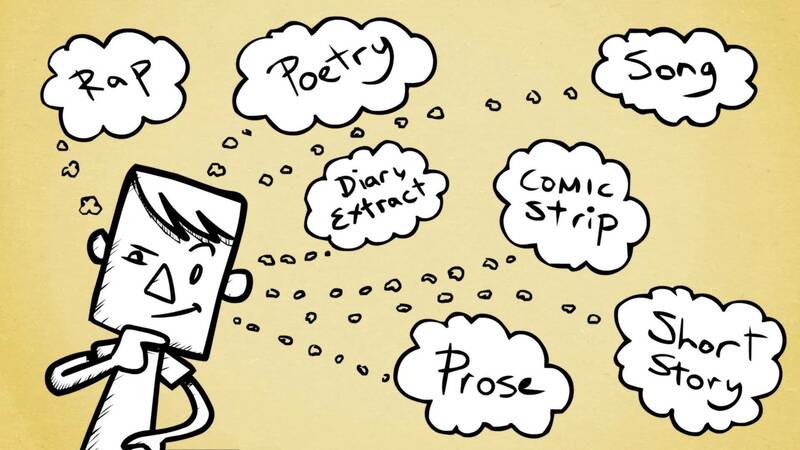 Writers influence the thought process of a large number of people. It involves knowing your readers and presenting content that can interest them. It also requires you to be aware of all recent changes taking place in all fields. Writing profession allows you to work with different organizations as well as in your own personal setups. And the good news is, both these scopes offer equal monetary benefits. Career opportunities like this, simply requires an English Degree with a good sense of creativity. Can you even imagine your life to go on without small, relaxing kit-kat breaks? Be it professional or personal lives, we all need change to get back to regularity with the same zeal. Professional lives become so monotonous without occasional corporate dinners, evening gatherings, Annual functions, etc. Isn’t it? Well, do you enjoy arranging such small gatherings for your friends and family? If yes, then you can definitely choose event management as your career option. With a bit of formal education and heaps of creativity and the ability to understand the needs of clients, you are all set to earn plenty in this profession. Getting paid for designing games. Can anything be more interesting than this? Guess not. Game designers research trends that appear to be fascinating for children and youth. Then they use their technical knowledge and immense sense of creativity to develop related games. This is one of the booming career options presently. And thanks to the rapid technical advancement that is taking place continuously, and increasing scopes for this profile. Landing this job profile only requires a Bachelor’s degree in the relevant field. Building residential apartments or office spaces, both require quite a number of skilled professionals. Interior designers work in collaboration with these professionals to give an aesthetic finish to any project they undertake. They work on lighting effects, paints, texture and furniture to give the desired look to these accommodations. They meet clients and prepare designs accordingly. 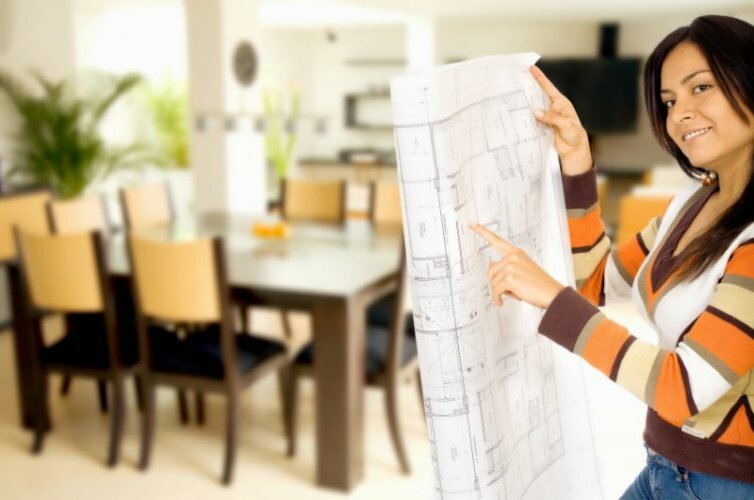 Once their designs are approved, they work to implement the same. The same construction can be given a different appearance depending upon the skills and creativity of these professionals. Now, if you are looking for building a career in this profile, then work ahead to get a Bachelor’s degree in the relevant field . These were some of the lucrative career options that serve to be the best match for people who have a sense of creativity and to build a career in this domain. Although, the workforce gender bias still exists and portrays women to be the growing minority at top corporate levels; there do exist industries, where male workers become a rarer sight to witness. What are those industries?? And how much do they pay is what interests you now – isn’t it?? Well you will have to wait a bit, before the list gets revealed. In the meanwhile, can you just come up with some career domains, that have been serving, as the largest employment sources for women?? It definitely has to be these three – academics, legal practices and performing arts. However, due to technical advancements, that is taking place at lightening speed, huge business organizations are the center of attraction for all. It is again an unfortunate truth, that the highest gender discrimination experienced by female workforce is in these industries. Nevertheless, all is not bad and no matter how slowly the change is taking place; the scenario of women employment is getting better if not best. Keeping aside the ratio, we do have women at all corporate levels and the number continues to increase. Thus, we do have certain industries where the female gender is flourishing like never before; leaving males behind the race. Now, you will find a list of occupations below, that prove to be the best suit for female employment. Some of these job roles are new in the market; while, some have been in existence for quite sometime now. However, though all these job vacancies are already being filled by women, they will definitely require more female candidates in the near future. Are women better than men in handling money?? Yes? Or NO? Well, you are free to decide on either of these answers and therefore it remains unanswered. Whatsoever it is, many business organizations are finding women more suitable for this position and therefore are hiring these professionals regularly. Reports show that 66.6% of professionals holding these positions are women. What spices up a monotonous corporate life style?? Is it a well organized corporate dinner with colleagues, or an annual gathering with good music and cocktails? Besides annual gatherings, these professionals are also required to make all arrangements for different levels of business or corporate meetings. They may also choose to work in their own setups; where they run their own team and are hired by organizations to arrange common platforms for business meets. Woman – embodiment of love, care and affection is naturally befitting for any job role in the health care service industries. From physicians to therapists and medical assistants, female professionals are seamlessly doing so well in this industry. A report published few years back, stated that, almost 69.5% of health care professions are occupied by females. Although, we do not have any numeric data to support the present scenario, the ratio has definitely not declined since then. Owing to deteriorating health conditions faced by individuals of different age groups, number of health care centers are accelerating rapidly. Thereby, there are increased job opportunities for physical therapists, medical practitioners, health care managers, medical assistants etc. A clear feminine dominance is witnessed in this profession. While female involvement is increasing, male psychologists are almost vanishing(No Offense intended). Well, there can be different reasons for this alarming difference in the ratio, it is a good news for all women who are looking forward to take up this profession. Psychology offers different areas of specializations; such as, school psychology, industrial psychological counseling, social psychology etc. 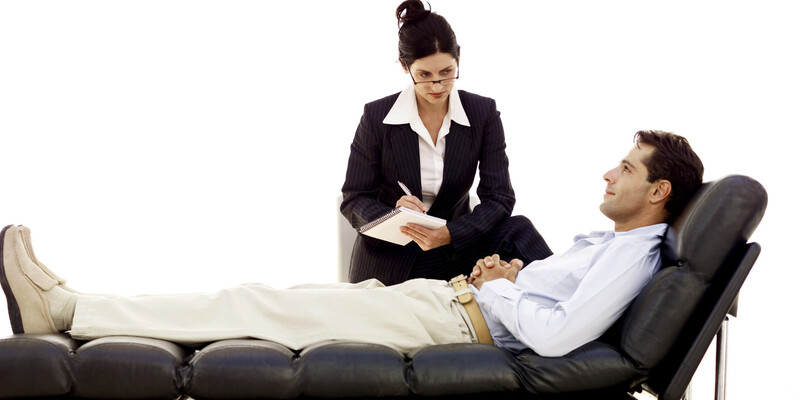 However, there are two important fields where psychologists find highest employment scopes. One is clinical healthcare setups and other is jobs in sports industry. In parallel to health care services, community service organizations are also doing their part of reaching out to people and solving their issues. They work in small groups and plan out different strategies, to address different issues; including family programs, fighting mental ill health such as depression or poor confidence levels. They also work to help people overcome substance abuse or any other kind of addiction. This is a growing profession and mostly headed by female officials. As a part of any social service team, you are responsible for organizing events for catering to different needs of your audience, along with making it budget effective. A new avenue in the field of PR profession. Reputation managers are in great demand across all big or small organizations. Well, it is already a known fact, that business growth is directly proportional to its promotion. And the best platform to publicize your business is the web. This is where these professionals are working. Reputation managers strive to craft the best social image of their organizations and enhance their online presence to attract more and more internet customers. They have an interesting job role, where they need to be in continuous virtual communication with all viewers of company websites or social media sites. They reply to viewer queries, tweet, post blogs and articles to share business information in the most effective manner possible. A common scenario in this highly competitive market is that, flourishing organizations are more prone to fake scandals. Professionals working with these organizations, need to continuously study online activities to avoid such disgracing activities in the first place and to sort out issues when they arise. As compared to rest of the nations , the United States is already reigning in establishing women empowerment and bringing gender equality on the job front. Today, according to reports, gender discrimination is more visible in careers related to STEM (Science, Technology, Engineering, Math) fields. However, if we carefully analyze the above list, it clearly includes job roles from different educational backgrounds and does not corner any domain as such. Therefore, women need to concentrate on these job roles that are comparatively hiring greater percentage of female professionals. The above list is inclusive of only some job profiles. There are N number of such profiles that are presently not that popular among job seekers; however, they have high potentials to become some lucrative job roles in the near future. So ladies, do not miss these exciting opportunities and walk ahead to grab these career opportunities that are waiting for you. Michael was a popular squash player during his young college days and always thought of taking up this profession. Perhaps, he is still passionate about this game and feels that if the game would pay the same then, as it is paying now; he would definitely be one among those players today. Well, being content with one’s take home is a relative term and here we do not compare between sports and IT professions. Well, it is not only Squash. Sports as a whole has grown to be much more than just a game, passion or one’s hobby. In addition to all these, it is a huge commercial business; an industry that earns bread for many. Did you know, that sports contributes a huge chunk to the US economic growth? A two years old report said that the annual contribution made by this industry was almost $14.3 billion with 456,000 jobs, that paid lucrative salaries. The figure has rapidly escalated since then. Therefore, it is not about earning your bread alone; it Is bread, spread with a thick layer of cheese along with smashed egg and a glass of your favorite fruit juice. Now, Michael has a seven years old son, who regularly attends a football training institute from past three years. The young boy is well equipped with different techniques to play the game, only to win. All training institutes provide players with several pairs of sports shoes, uniforms and all other equipments. They are well guided with nutritional diet intake and related physical exercises. Seeing all these, Michael feels, that playing any sport with friends, in the backyard, has come down to being something obsolete. Teens still play with their peers; however, they do this to make a promising career in this field. There are various other professionals as well, who are earning because they contribute in building successful sportspersons – who grab much of the limelight. Michael realizes, that there can be various factors to consider before getting into any profession. Therefore, he needs to gather information about all booming jobs in this domain; as his son may require this essential information, later some day. A thorough research carried out by him on fastest growing jobs in sports industry brings about an interesting list that has been shared here in this post. Rugby and Lacrosse are the fastest growing sports in America presently. 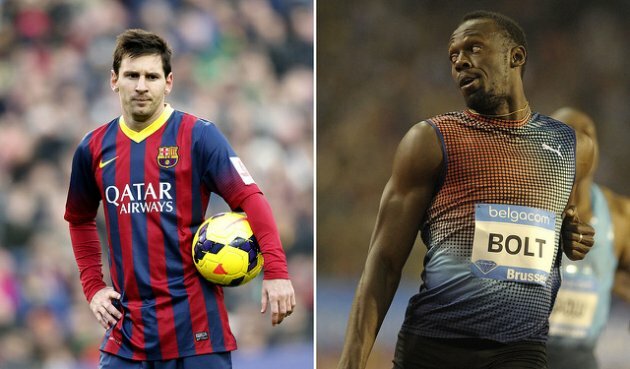 The popularity gained by these two sports activities is high and is still rising. Besides, other sporting activities such as Golf, Baseball or Ice hockey are also chasing the race. Therefore, choosing to become a future athlete will be a decision worth taking. Long years of athletic experience with few winning records; is all he needs to earn in seven figures, as a renowned head coach. However, initially they start with smaller figures and it takes a long time to reach that level. Experts predict that there can be a growth of 29% in this profession by 2020. 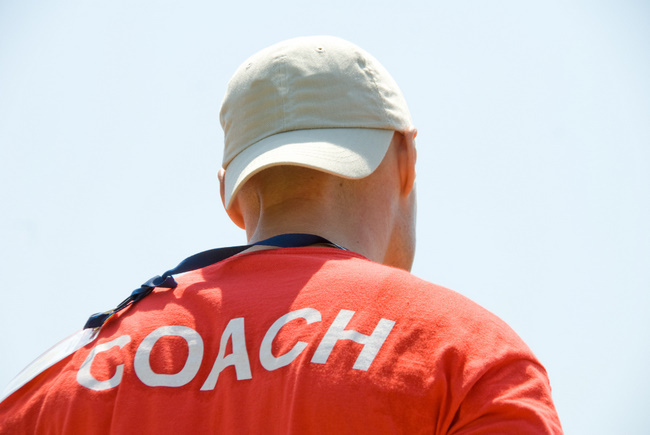 From physical fitness to psychological preparation, athletes need them all. 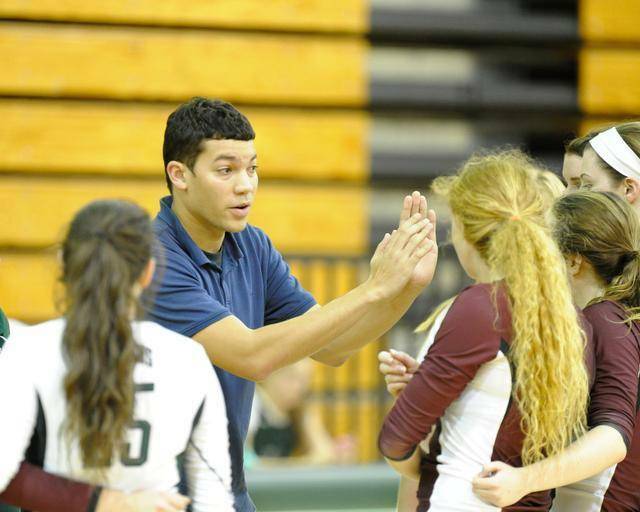 Sports psychologists motivate players and teach them methods to retain composure while playing. Fitness directors, on the other hand, look after the overall physical well being of players and assist in quick recovery of injured members. These professions, along with nutritionists and therapists form an essential part of this booming industry with accelerating job growth rate, ranging from 22% to 39% approximately. Michael realizes that his son spends a lot of his time browsing social media sites and other websites. This career that brings sports and social media under the same roof appears to be the best match for him. Sports social media is the new talk in the city, that only requires good written skills, understanding of social media as a promotional platform and of course, your interest and knowledge of sports. Commercialization is leading to greater sporting events. Gone are the days, when athletes participated in 3 – 4 events annually. Today, there are various sponsors who are organizing events on a daily basis. And every event, appears to be better than the rest; with accurate media attention and every essential ingredient to make the event sufficiently glamorous. This, therefore calls for increased number of sport event coordinators, sports media journalists and photographers. Similar to all other job opportunities mentioned above, this sector also has strong growth rates ranging from 13% to 44%. This is one of the growing profession and Michael, being an IT professional, is highly impressed by this job role. 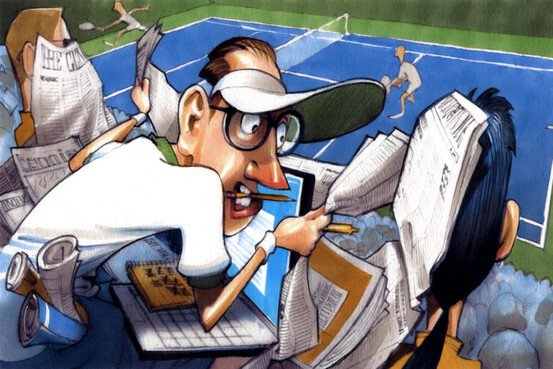 Sports statisticians use math and computer skills to derive essential information on performance rates of teams or individual players. They also analyze available data to predict future results. The amount of web technologies and graphics used to display the results attract fans to a large extent. The demand for these professionals is rapidly increasing. Michael is now so content with his research, that he is now visualizing his son earning millions in any of the above mentioned occupation. This research also helps him to realize that, sports industry does not only deal with athletes; there are equal opportunities for non athletes as well, who are interested in sports; however, do not want to take up athletic profession. Now, if you too are looking for job opportunities in this lucrative industry; go ahead to choose any profession of your choice, that is made available in this vast domain. Hoping that you found this post useful, we wrap up today’s discussion. Year 2015 has been bringing good news for the U.S. job market. The job market is back on track. This market has faced several challenges since 2001, two recessions being a major setback to the country’s economy. Again, since that time there have been many economic and demographic changes. 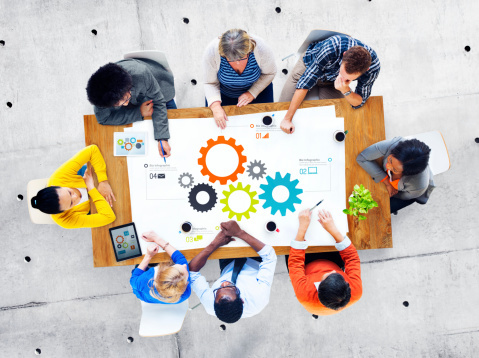 These changes have influenced the workforce in many ways. Major national surveys show numerous changes in job composition by race, gender and age. Thankfully, time has changed in 2014. This year has been the country’s best year for job growth and opportunities since 1999. 2015 seems to carry forward the trend. According to the February 2015 Employment Situation Report presented by the U.S. Bureau of Labor Statistics, the unemployment rate decreased to 5.5% and 295,000 jobs were included, thus making the job market flourish. The unemployment rate remains unchanged in March. Total nonfarm payroll employment has seen a good increase of 126,000 jobs in this month. The top trending sectors are health care, retail trade, professional and business services. In 2001, women had a share of 48% of jobs and the number increased to 49% in 2014. This means, 4.9 million more female employees have joined the workforce since 2001. Even if there is a considerable growth in the number of working women over the past 13 years, however the number of women in high-paid jobs or doing different roles has not increased. Their counterparts are doing pretty good jobs in a variety of sectors. Men have occupied 72% share of all occupations. In 2014, the number of teenage workers has reduced by 33% than 2001; whereas the number of older population aged 55 or above has increased by 40% than 2001. The number of job opportunities for individuals aged between 22 and 34 increased by 4% and for age group 35-54, it shrunk by 1%. The key findings in terms of race indicate: Asian workers have 5% of jobs in 2014 as compared to 4% in 2001; Latinos have 13% of jobs as compared to 11% in 2001; white workers have lost 2% of jobs as they enjoyed a share of 71% in 2001 and the number reduced to 69% in 2014. So what is the changing face of USA jobs in the current year? Based on the report of the U.S. Bureau of Labor Statistic in March 2015, we present some important categories and points that characterise the prevailing job market. 1. From March, 2014 to March, 2015 growth in employment had averaged 269,000 every month. 2. Job opportunities in mining sector have shrunk. Although this industry has added 41,000 jobs in 2014, it has lost 30,000 jobs till now in the current year. 3. There is some good news for those working in engineering and architectural services, management and technical consulting services, computer systems design and related service as job scopes have widened. 4. More than 22,000 jobs were added in the healthcare industry. In the past one year, 363,000 jobs were added. Although jobs in nursing care facilities declined, considerable number of jobs were added in hospitals and ambulatory health care services. 5. Job opportunities continue to be trending in the retail trade industry. In March 11,000 jobs were added only by the general merchandise stores. 6. Growth of job opportunities per month in food services and drinking places remained same in the first quarter of 2015 as was in 2014, per month. Again employment in this sector saw huge growth in February which was more than 66,000 and in March the number declined to +9000. 7. According to this report, the average workweek for all workers on private nonfarm payrolls declined to 34.5 hours. While the duration of work hours decreased, the average hourly earnings for all workers on private nonfarm payrolls increased by 7 cents. It reached to$24.86. 1. In March, 2015 total number of unemployed persons was 8.6 million. From March 2014 to March 2015, the rate of unemployment decreased by 1.1 percentage points. 2. In March, the number of unemployed new entrants, that is persons who did not work earlier decreased by 157,000. 3. 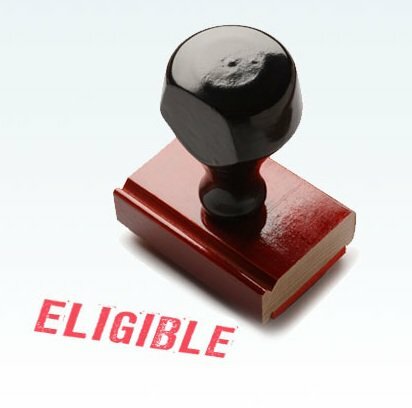 There are long-term unemployed persons also, who have no job for 27 weeks or more. The number of such persons was 2.6 million in March. Not only this, the number of long-term unemployed individuals has reduced by 1.1 million throughout the last one year. 4. The household survey also focussed on the civilian labor force participation rate. Since last year April, the rate was somewhere between 62.7% and 62.9%. In March, 2015 the rate did not change as it touched 62.7%. 5. Research about part-time employees also formed a part of this survey. Here part-time employees means people who are working part-time as they are not able to get a full-time job or their job hours were reduced for some reason or other. Otherwise, these people would have chosen full-time opportunities. The rate of such persons remained 6.7 million in March, 2015. 6. Over the year there was no change in the number of persons who were marginally attached to the labor force. The number remained 2.1 million. 7. The number of discouraged workers among the marginally attached remained 738,000 in March, 2015. This scenario is not much different from that in 2014. These are the individuals who are not searching for any job presently, as they believe in the unavailability of jobs for them. The remaining 1.3 million individuals who are marginally attached to the labor force as mentioned earlier, had not looked for any job for different reasons like family issues or school attendance. In 2015 the face of U.S. jobs is changing surely. And the seeds of this change were sown in the past 4-5 years. The workforce composition is greatly affected by diverse and changing population, which is a good sign of progress for the job market. Because studies say that companies with diverse employees can lay their foundation on innovation and inclusiveness, thereby increasing their profit margins.